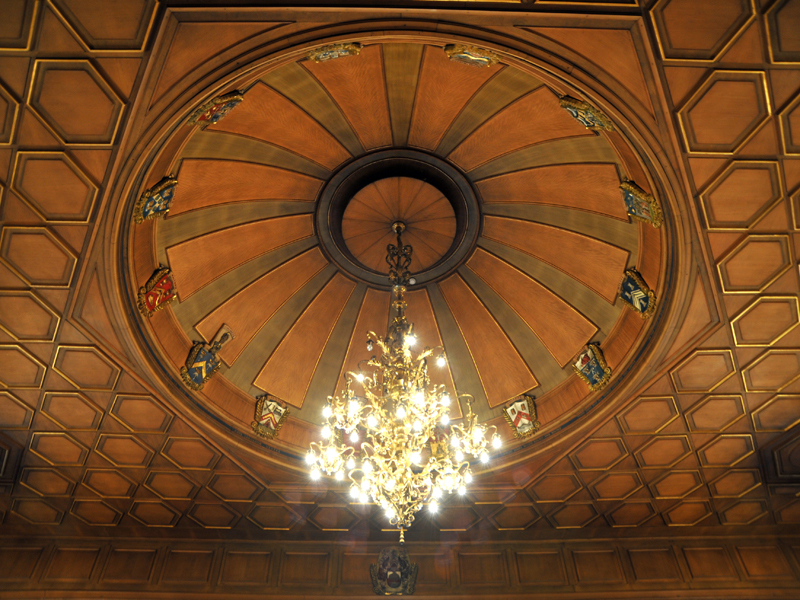 The Grand Hall has a wonderful dome in the centre and around this dome can be seen the Coat of Arms of the 14 Incorporations and their mottos. 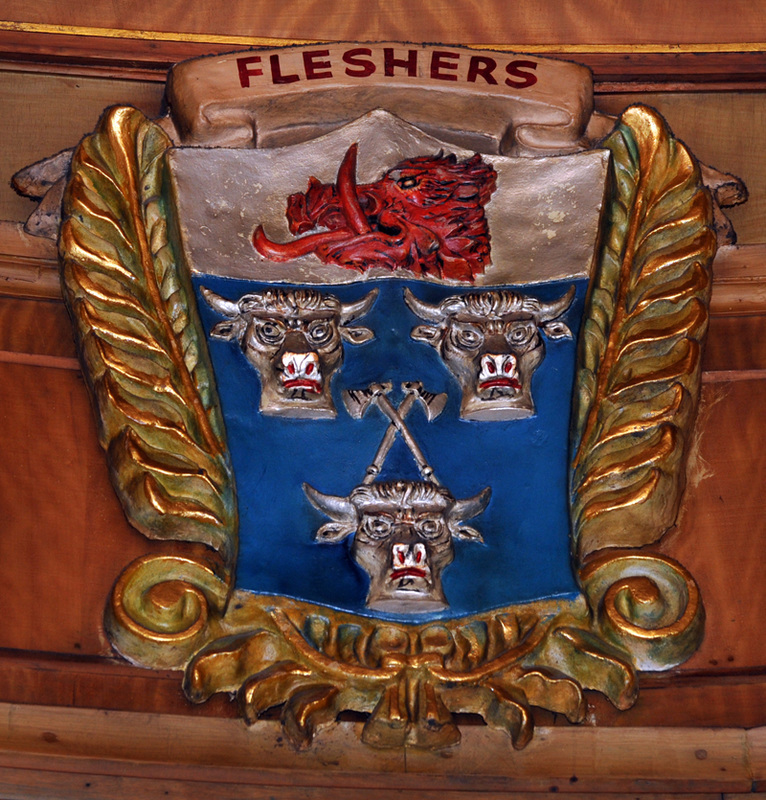 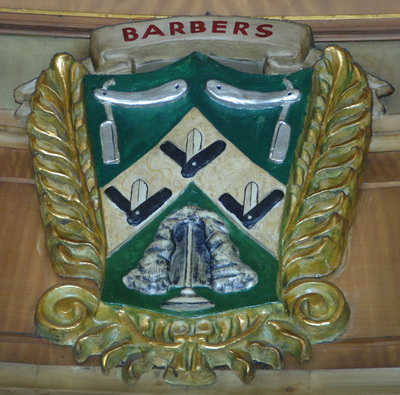 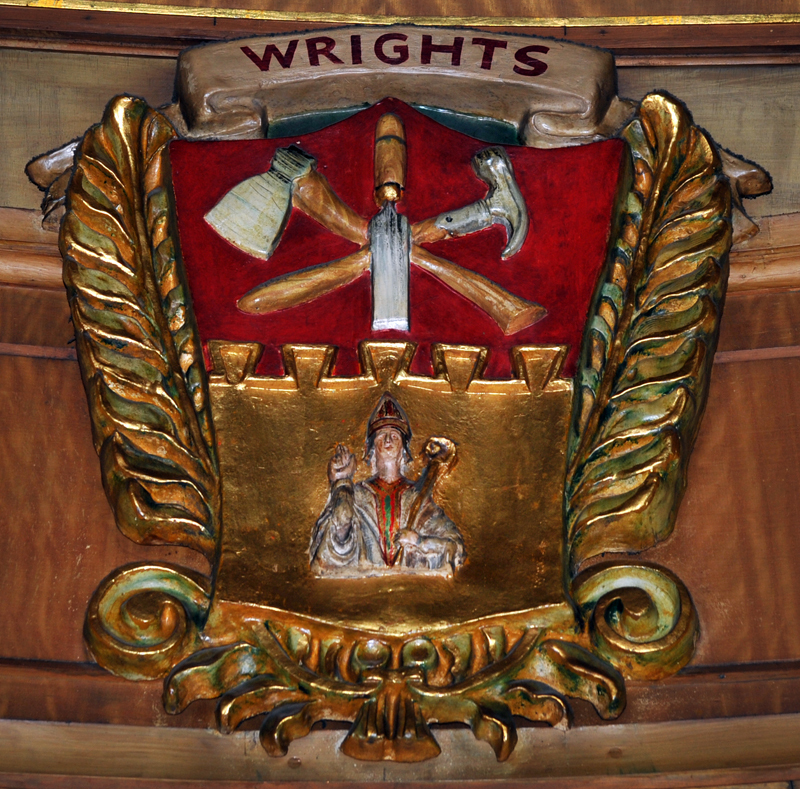 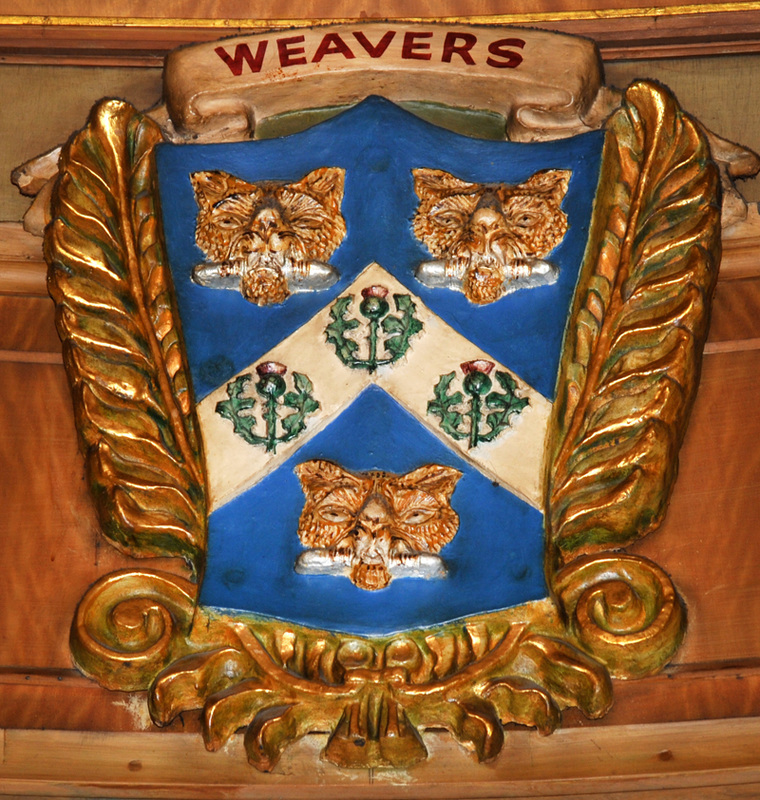 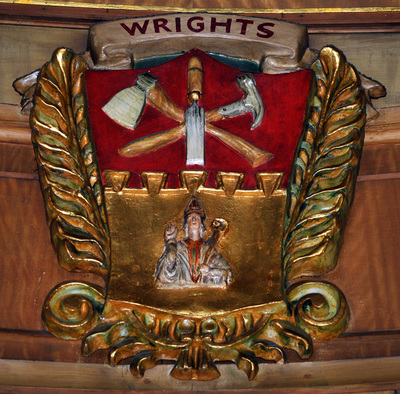 If you examine the stained glass window on the stairwell, you will notice that some of the Coat of Arms are different. 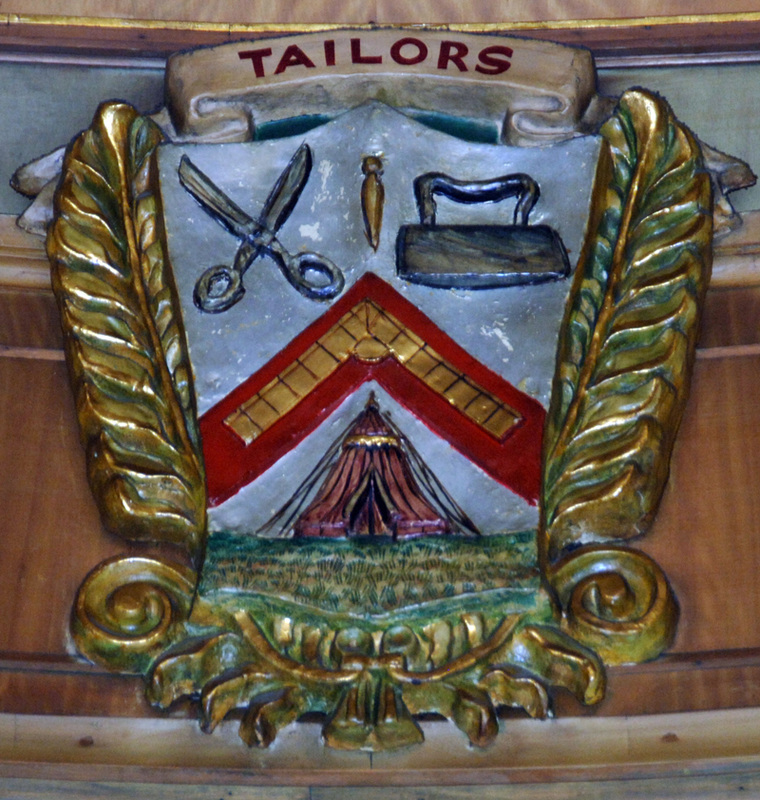 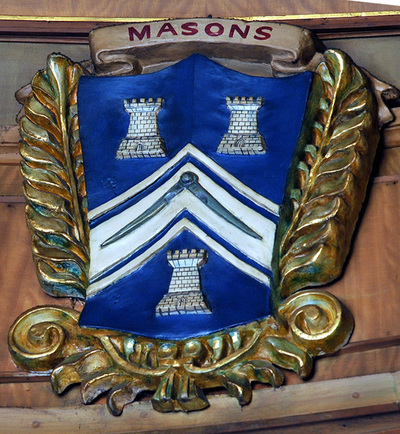 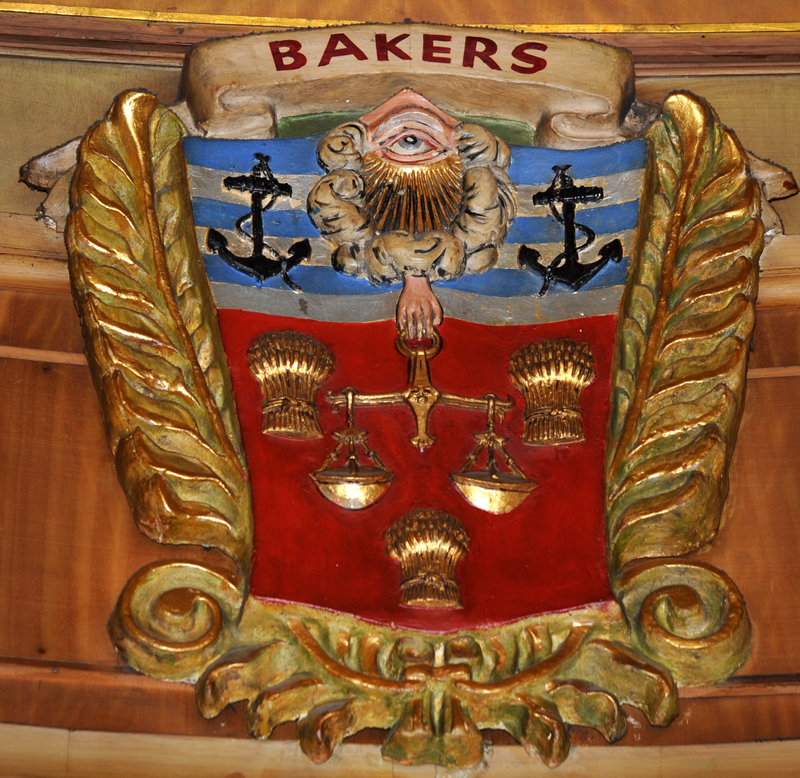 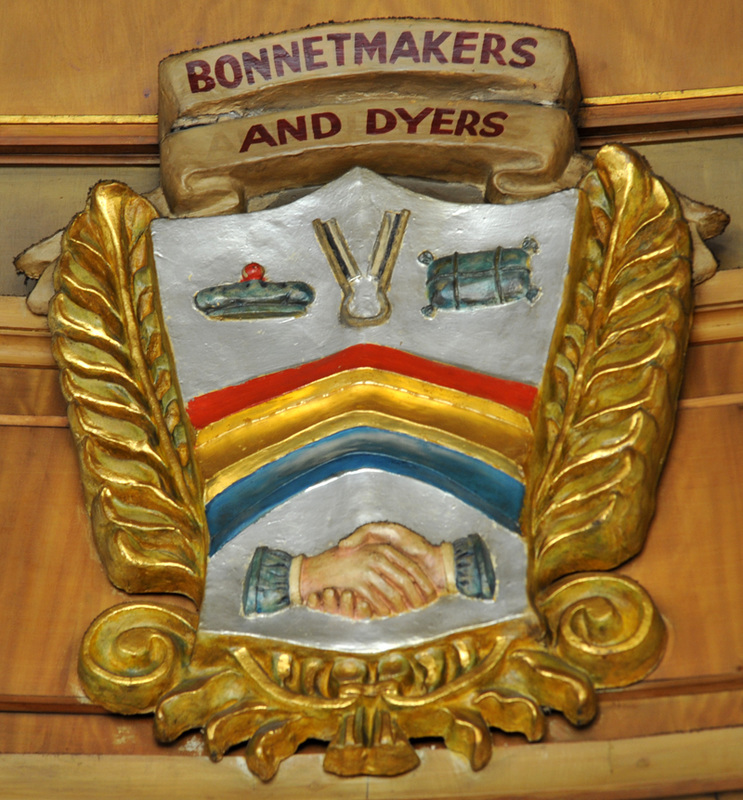 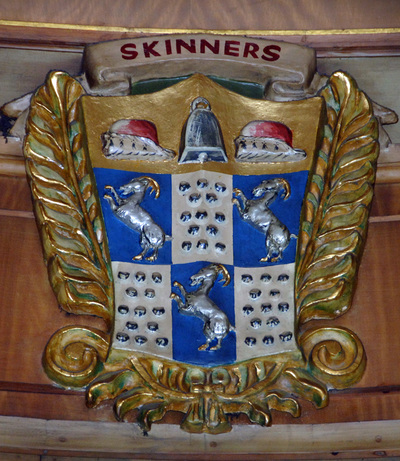 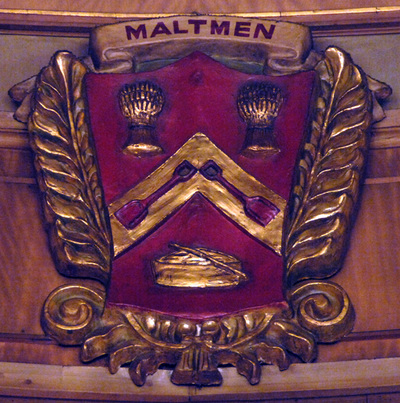 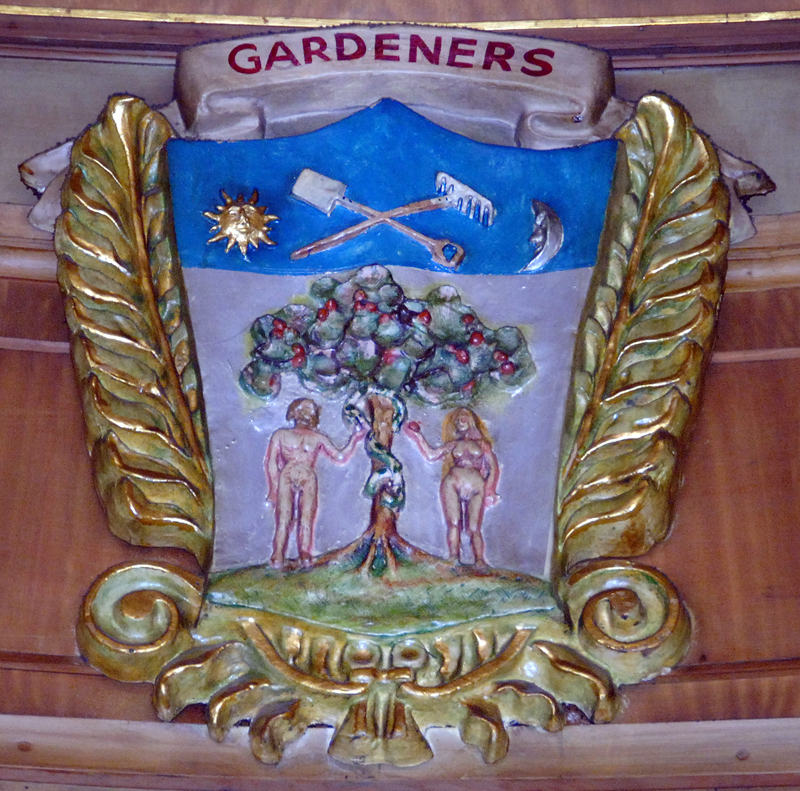 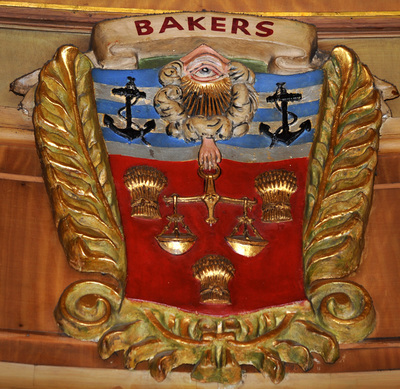 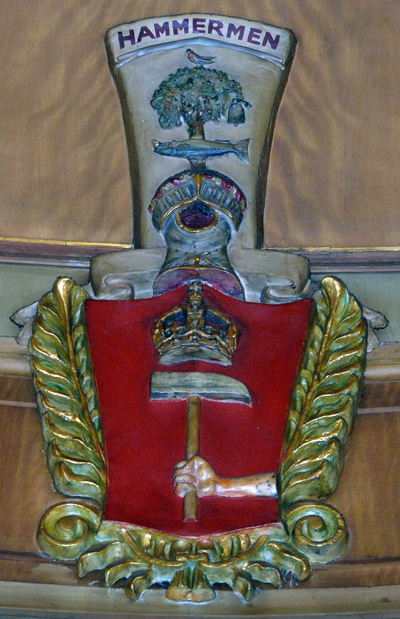 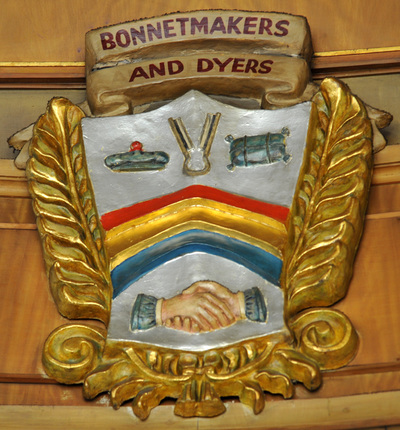 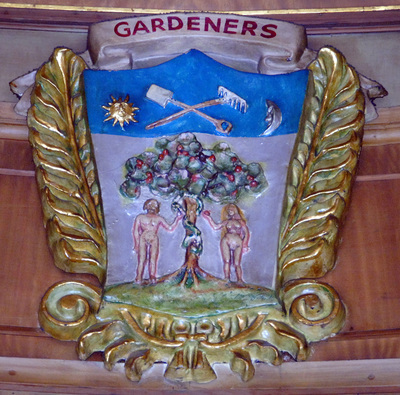 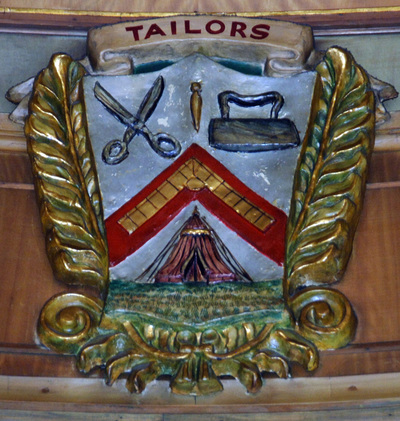 The ones in the stained glass are older and had not been approved by Lord Lyon, King of Arms whereas the Coat of Arms in the Grand Hall are the approved ones. 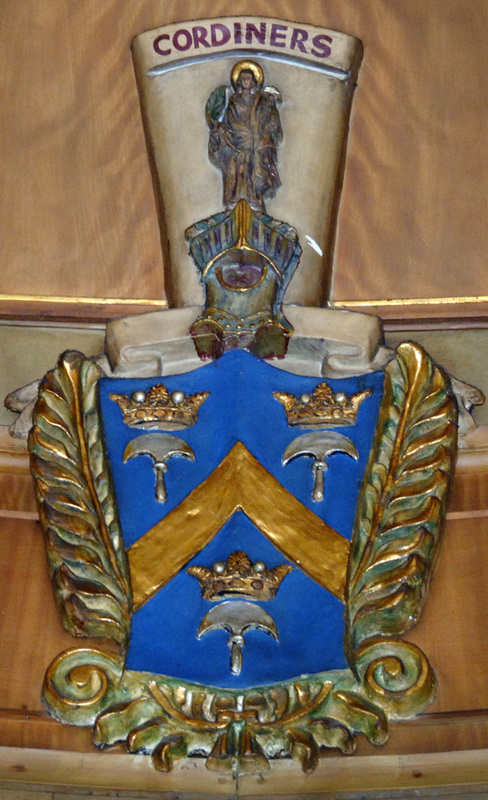 The Dome in the Grand Hall with the Coat of Arms of the 14 Incorporations around the base of it.